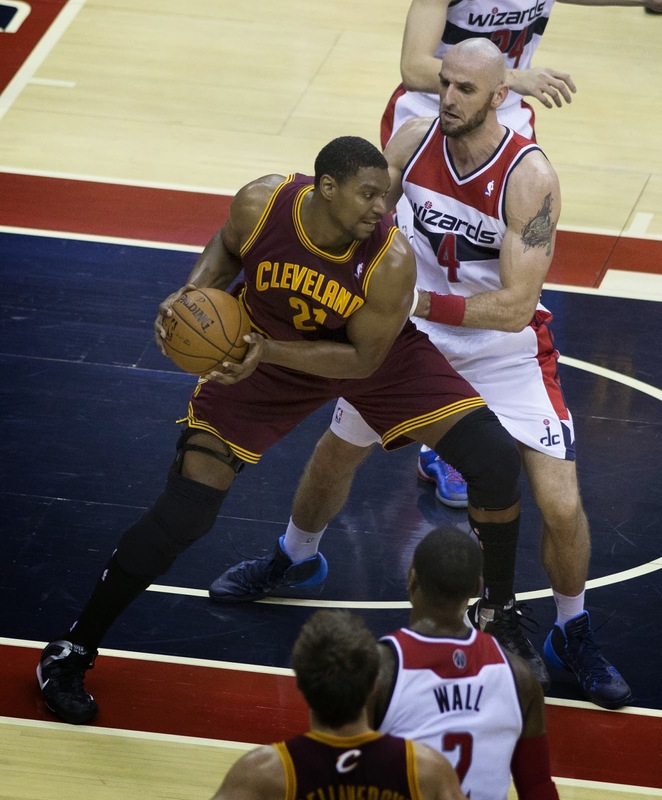 Tru School Sports: Who Wants Andrew Bynum? With the Cleveland Cavaliers filing divorce on Andrew Bynum, what is the next step for the 2x NBA champion and 2012 Second Team All-NBA center? According to Yahoo! Sports Adrian Wojnarowski and Marc J. Spears, the Cleveland Cavaliers are "determined to unload Andrew Bynum in a trade," after he was suspended indefinitely by the team for "conduct detrimental to the team." Cavs head coach Mike Brown did not say if Bynum has played his last game for Cleveland. He said the suspension is definite and "we all know what that means," according to Akron Beacon Journal's Jason Lloyd. Bynum signed a two-year, $24.8 million contract last offseason with $6 million guaranteed before January 7. $12.25 million will be due after that date and $12.5 million will not be guaranteed until July 10, per ESPN.com. 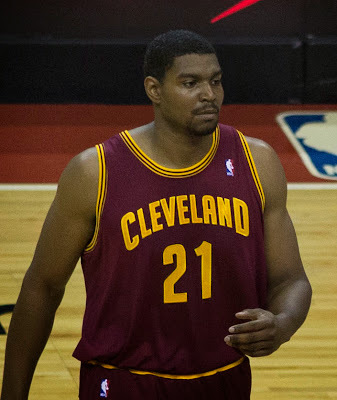 If the Cavs are pushing to trade Bynum, it's almost certain that he won't receive many strong suitors. Reports are showing that Bynum has been a disruptive presence in the locker room and has never liked basketball in the first place. Wojnarowski has also said that Bynum lacks a drive to continue to play the game at an NBA level. In the summer of 2012, Bynum was a key trade piece in a four-team deal which sent him to the Philadelphia 76ers and Dwight Howard to the Los Angeles Lakers. Despite his success in Los Angeles from 2005-12, Bynum sat out all of last season due to poor health with the 76ers. Instead of playing on the court, Bynum was seen on the bench with a different suit and different hair style. The 7'0", 285 pound center has started 19 of the 24 games he has played with the Cavs. Bynum is averaging 8.4 points, 5.3 rebounds and 1.2 blocks per game. It's a year in decline for the 26-year old who averaged 18.7 points and 11.8 rebounds per game for the Lakers in 2011-12. According to Sam Amico of Fox Sports, the Cavs will release Bynum before his contract is guaranteed for more than $6 million and that other teams are not interested in trading for the big man. There are also reports saying that a small handful of teams are showing interest in Bynum. According to USA Today, the Los Angeles Clippers would be interested if the Cavs release Bynum. Grantland.com reported that Miami Heat would be interested in Bynum. The Boston Celtics have also expressed their interests. The Clippers would be bringing in a role player that would come off the bench for 20-25 minutes a game. The team already has their center in DeAndre Jordan, so adding a backup that has played in an All-Star game would help solidify the team's center position for the remainder of Bynum's contract. Bynum would also have the opportunity to play alongside Chris Paul and Blake Griffin, which would cause nightmares for teams on the offensive and defensive side of the ball when Bynum is at his best. The Heat were exposed last season, especially in the playoffs against the Indiana Pacers, with how small and undersized they were. They signed injury prone and Ohio State star Greg Oden last offseason to a one-year contract in order to boost their weakness. But if Oden proves that he's still the same-old Oden, then Bynum may be their big man for the future if signed or traded. Bynum succeeded playing alongside Paul Gasol and Kobe Bryant with the Lakers during their championship runs in 2009 and 2010, so having the chance to play with the 2x defending champions may bring out Bynum's good side. The Celtics would be taking a high risk, yet a high reward if they bring in Bynum to help out in the rebuilding process. GM Danny Ainge has a plan in bringing back Boston to contention in the Eastern conference which involves draft picks and expiring contracts. The Celtics already offered the Cavs a trade involving Jeff Green which they turned down a few weeks ago. Ainge is not afraid in taking risks signing or trading players, but it's hard to see an unmotivated player expressing interest in playing for a rebuilding franchise.